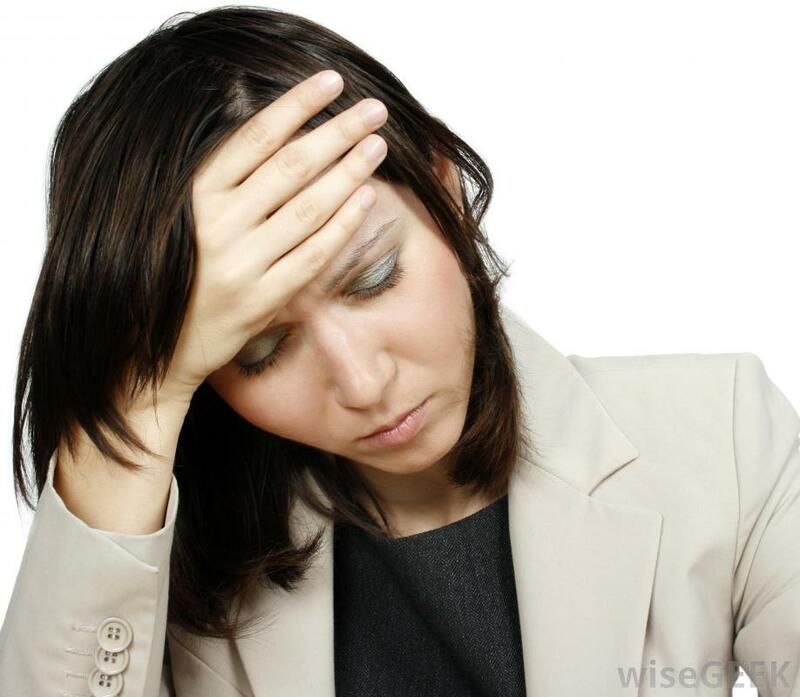 A great number of people have experienced tiredness/fatigue, which can be momentary and chronic. If you always feel tired, it means you have developed chronic tiredness/fatigue. Chronic fatigue is a state that develops over a long period of time diminishing the mental and physical capacity. It can have a negative impact on your psychological and emotional health. Chronic fatigue can be a symptom of underlying medical complications so it is ideal to seek medical attention soonest possible. Lack of Sleep. This is one of the common causes of fatigue or tiredness. Research shows that at least a third of the world’s population suffers from insomnia. This is common with those who work through the night. Sleep requirements vary with age. The older the individual, the lesser the time they require for sleeping. Babies and infants require at least sixteen hours of sleep a day while adults require at least seven hours of sleep. There are some people who only require five while others require ten hours of sleep every day. Sleep Disturbances. Disturbance of your sleep can be a result of various issues such as noisy neighbors, a partner who snores, having your children wake up in the middle of the night as well as the sleeping environment. Little Eating. Lack of adequate eating or consuming wrong types of food can lead to fatigue. Eating a healthy breakfast that contains all the required nutrients is required. This stabilizes the energy levels. Poor Diet. Diets low in kilojoules, carbohydrates as well as energy deprive the body of fuel needed for it to function appropriately. Drug and Alcohol. Alcohol is a depressant that slows the body’s nervous system disrupting your normal sleep pattern. Caffeine and cigarettes cause insomnia since they stimulate the body’s nervous system. Lack of Exercise. Exercise boosts the body’s health, fitness, reduces stress and boosts the body’s energy levels. This can aid in reducing the chances of fatigue. Personal Factors. Fatigue can also be as a result of individual injury or illness or that of a loved one. Having many commitments such as several jobs or financial instability can also be causes of fatigue. Anemia. This can be the cause of your tired condition. Anemia is a condition caused by the lack of adequate blood cells to transport oxygen to various body organs and tissues. This condition is more rampant amongst women who have reached menopause. The treatment for anemia is dependent on the cause.The most common cause is the lack of enough iron in the body. This is correctable by taking in foods rich in iron like fortified cereals, shellfish, lean meat and supplements. Underactive Thyroid. The thyroid gland is located in the neck. This gland controls metabolism. When the thyroid is underactive, it slows metabolism causing one to feel sluggish and leads to weight gain. Chronic Fatigue Syndrome. This is fatigue that prolongs to periods beyond six months. It makes it hard for one to undertake their activities. The main symptoms includepersistent exhaustion. Remedy includes changing daily activities, exercising gently as well as sleeping better. Sleep Apnoea. This is a condition that causes sleeplessness. This condition halts breathing especially at night. This disrupts sleepthat result in day time fatigue and sleepiness. This condition is most common amongst overweight men and is worsened by smoking and alcohol consumption. This is treatable through losing weight, quitting smoking and avoiding alcohol consumption. UTI (Urinary Tract Infection). This can deprive you of sleep because of the frequent urination and burning sensation. However, fatigue is also another symptom of this infection. Antibiotic is used to cure the infection as well as get rid of fatigue symptoms. Diabetes. Diabetes causes sugar to remain in blood stream instead of being absorbed into the cells of the body for conversion to energy. This causes fatigue as the body is deprived of sufficient energy to function. Excessive tiredness is a sign of diabetes. Sugar tests are often recommended in such cases. Treatment methods include lifestyle changes, medication and insulin therapy. Heart Disease. This can be indicated by tiredness when climbing stairs or performing normal daily chores. Seeking medical advice is highly recommended. Treatment includes lifestyle changes, therapeutic procedures as well as medication. Glandular Fever. This is viral infection that causes fatigue among other symptoms like swollen glands and sore throats. This condition is more rampant in young adults and teenagers. Symptoms disappear within weeks, but the tiredness can be persistent. Coeliac Disease. This condition causes the body to react against substances found in gluten as it views them as a threat. This can lead to damage of the small intestines and affects the ability of the body to absorb nutrients. The symptoms include: flatulence and bloating, diarrhea with unpleasant smell, weight loss, abdominal pain, tiredness mainly resulting from malnutrition and slow growth rate in children. The treatment method includes the exclusion of gluten rich foods from the patient’s diet which can ease the symptoms. Restless Leg Syndrome. This condition affects the body’s nervous system causing unpleasant feeling in thighs, feet and calves. It causes an unpredictable sensation when moving the leg. The cause is not conclusive and some cases are believed to be genetic. Symptoms include burning, tingling and throbbing sensation in the feet, cramping in legs or calf, fizzy water feeling in legs blood vessels and crawling sensation. Depression. This can have physical and emotional effects on the human body. The symptoms include fatigue, appetite loss as well as headaches. It is important to seek medical attention in case the tiredness is excessively prolonged.By treating depression, you also get rid of fatigue. Stress and Anxiety. Chronic anxiety and stress causes the body to switch to overdrive mode. Adrenaline is constantly running causing body exhaustionleading to fatigue. They develop thoughts of harming other people.